From Glendale, California, Richard started show jumping aged 10 and was nicknamed ‘The Master of Faster” when he first hit the Grand Prix show jumping scene. Though he says he wasn't interested in horses as a boy, Richard got involved with horses partly because his mother loved them and owned a training stables. Since turning professional at 20, Richard competed in all the World Cup Finals between 2002 and 2012. Richard moved from the US to France in 2013 to spend more time competing there. He is a regular member of the USA Nations Cup team. With over 100 Grand Prix victories, Richard Spooner has been the Pacific Coast Horse Show Association Grand Prix Rider of the year twelve times. 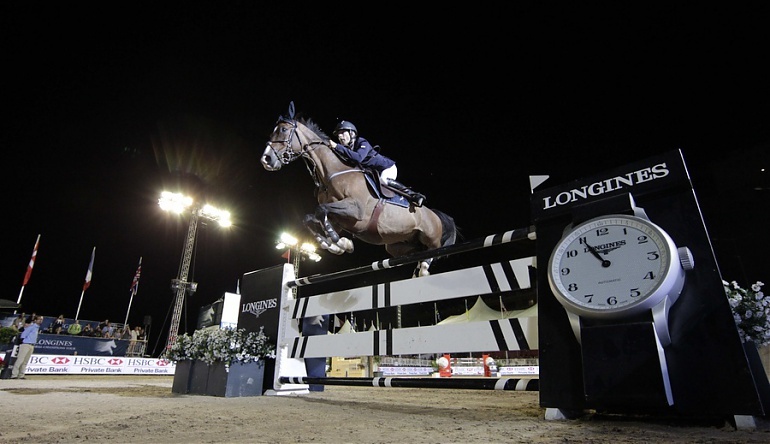 Among his most memorable career highlights are competing on the United States Equestrian team in 2009, winning two Super League Nations Cup Gold Medals in Rome and St. Gallen, and winning the LGCT Monte Carlo Grand Prix three times. Richards believes that "success isn't winning, because winning is only being better than the other people there".